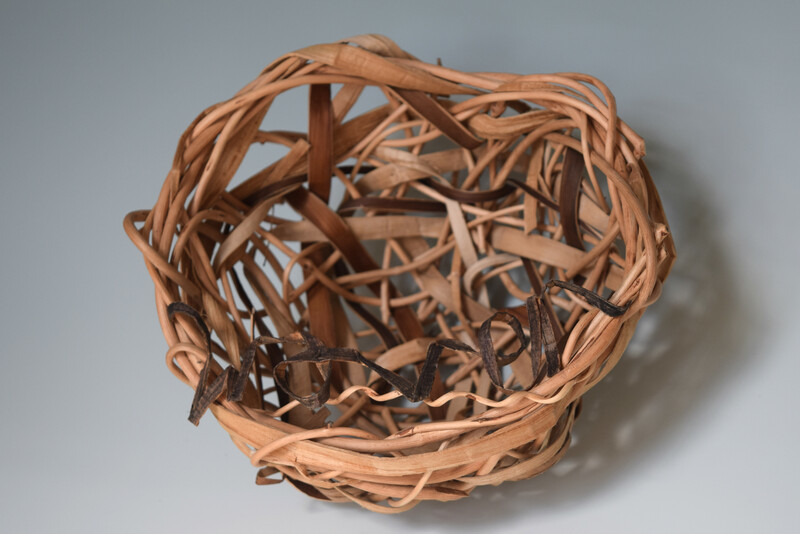 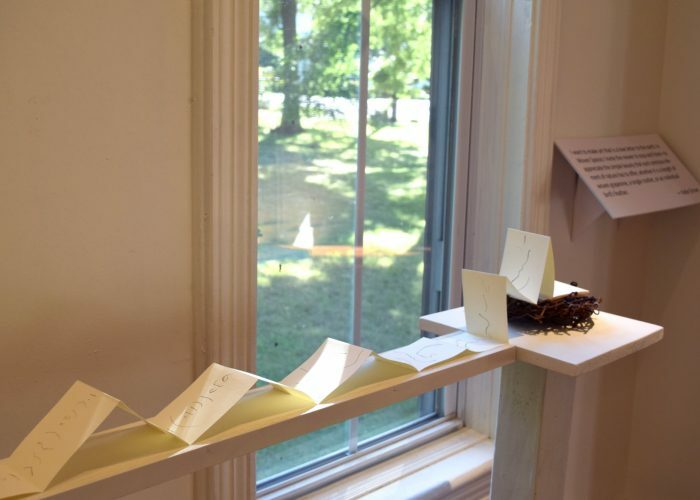 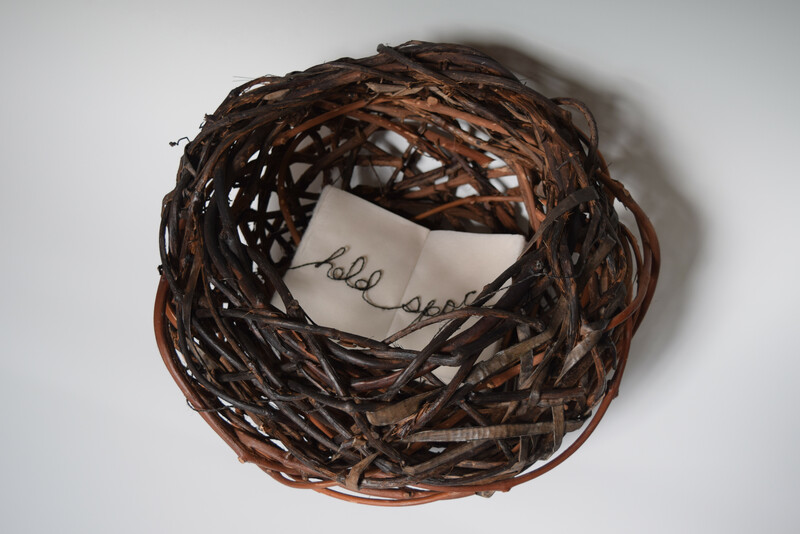 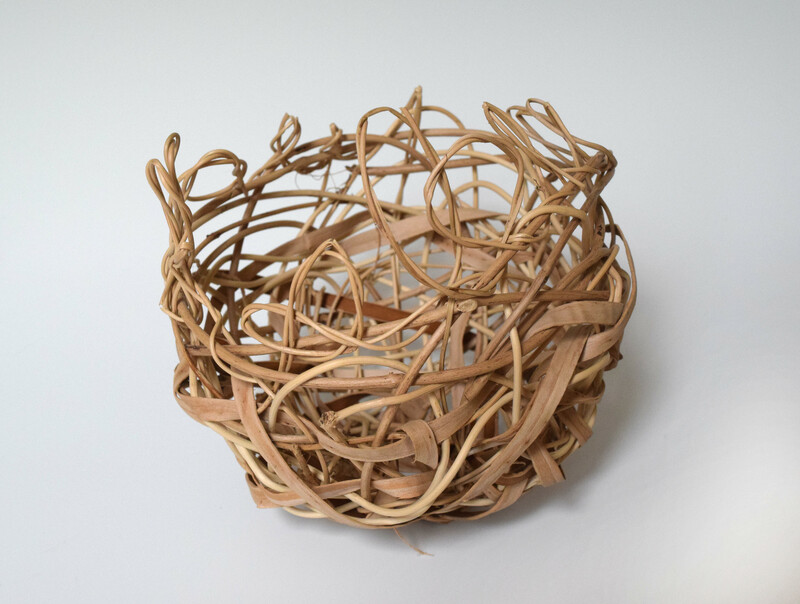 In my newest series, “on behalf of the plants”, I endeavor to give voice to the plant species used in each basket by weaving and embroidering words and phrases into each basket as if they grew naturally. 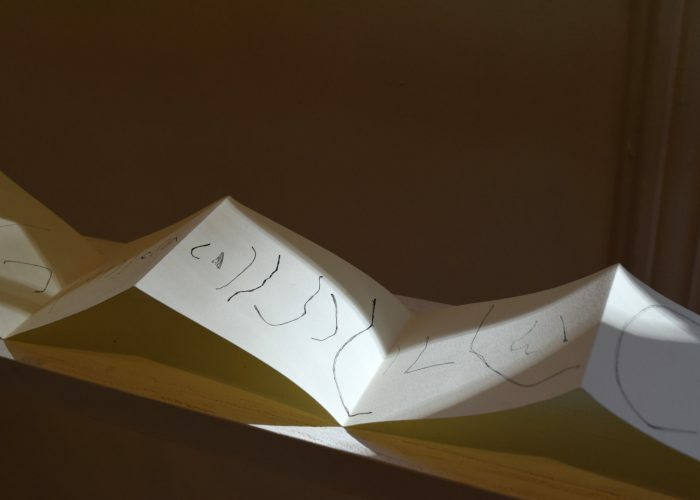 In some the words are evident. 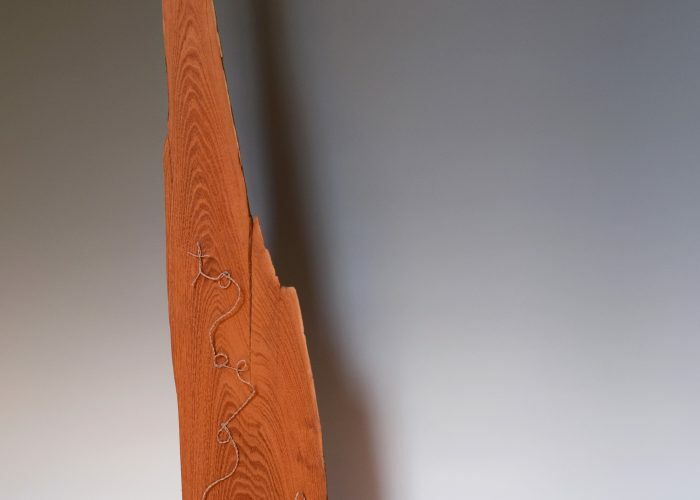 In others you have to truly look closer. 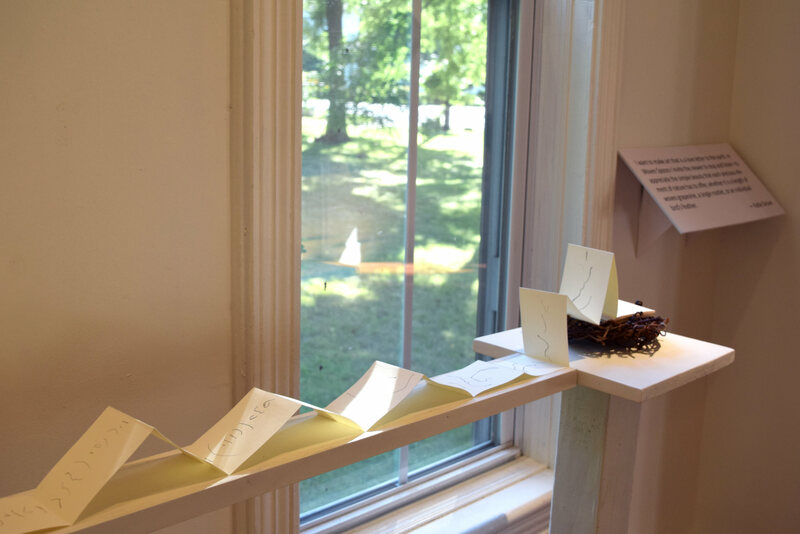 On Behalf of Plants is the result of these questions. 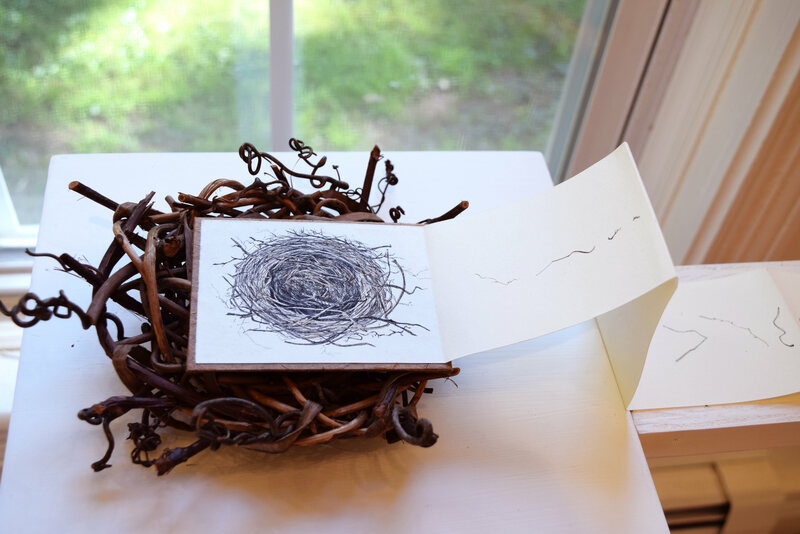 It is an ongoing series that I may be exploring for the rest of my life as I continue to learn to listen and look closer, just as I invite the viewer to do. 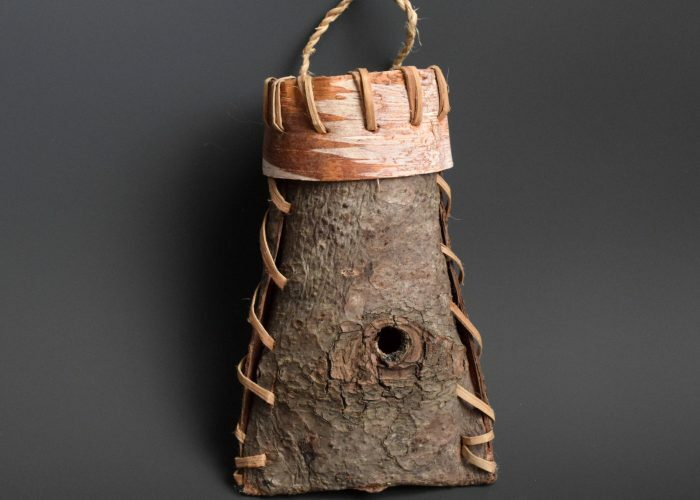 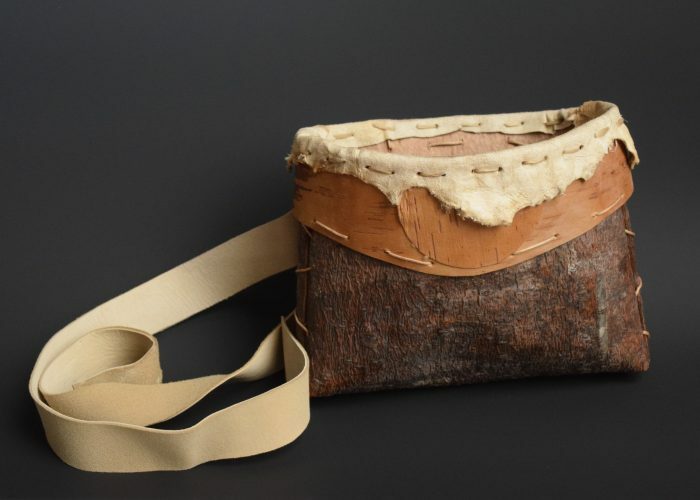 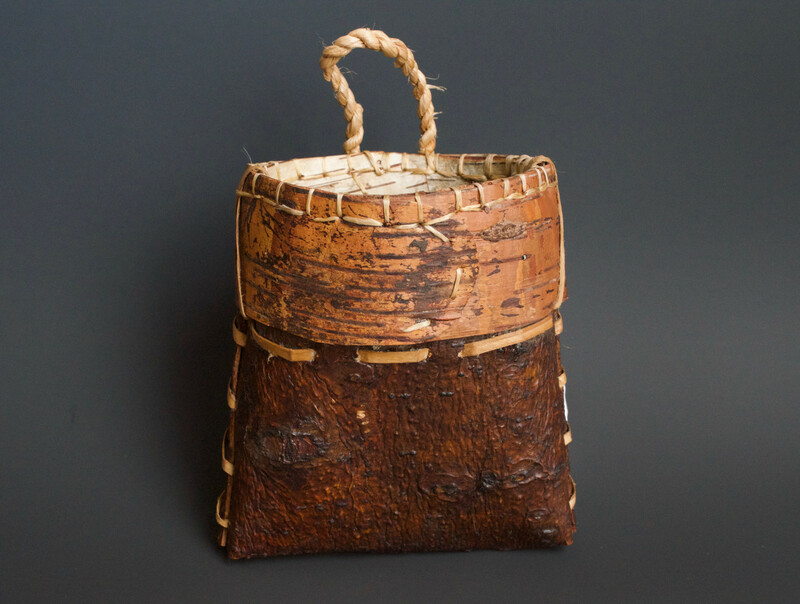 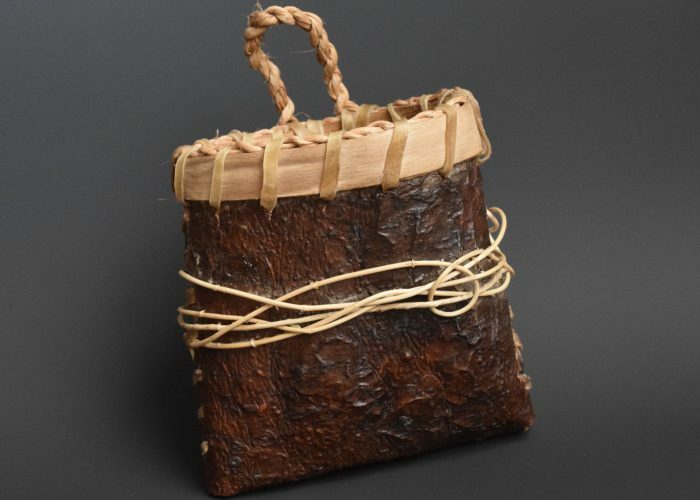 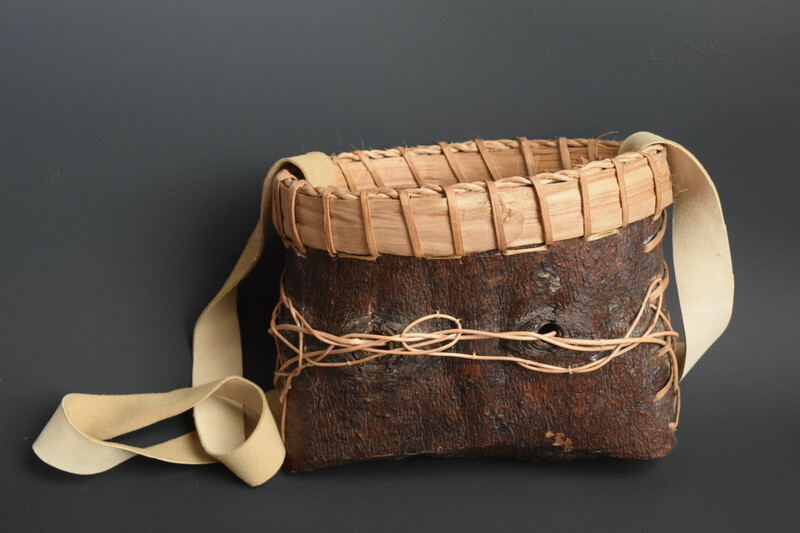 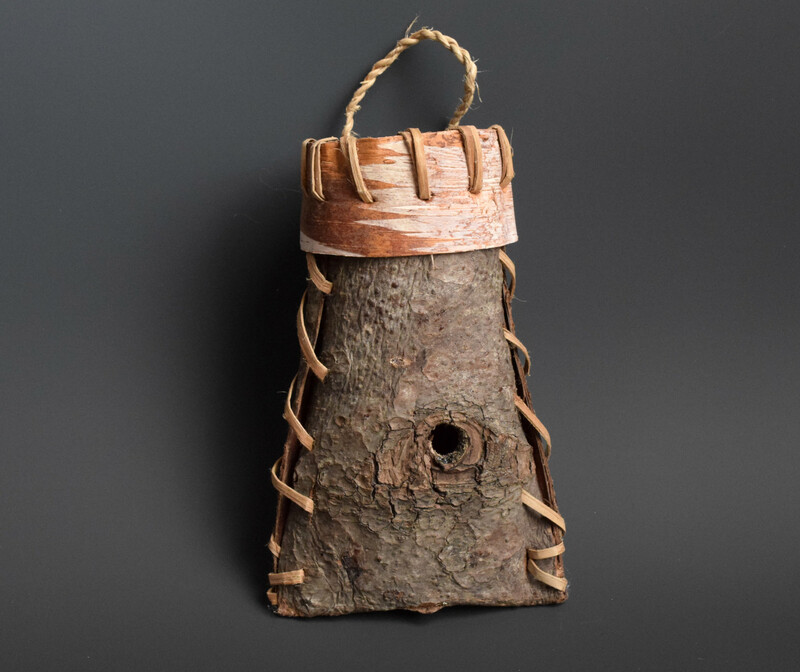 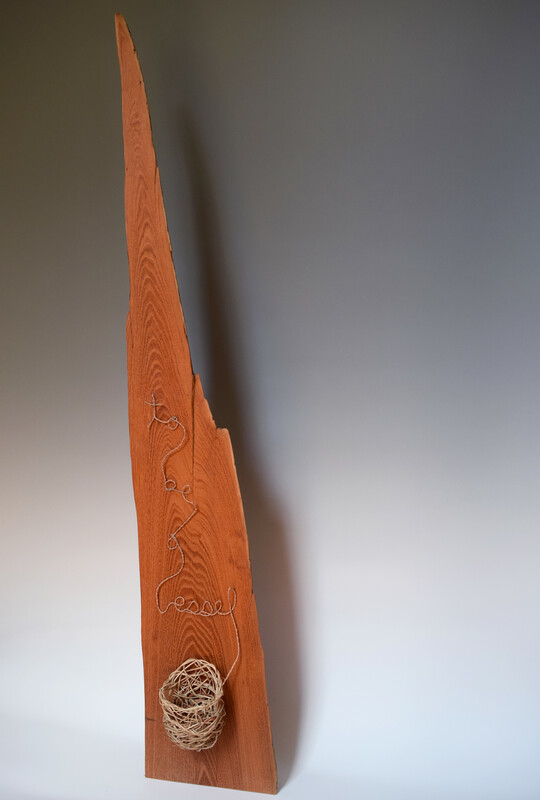 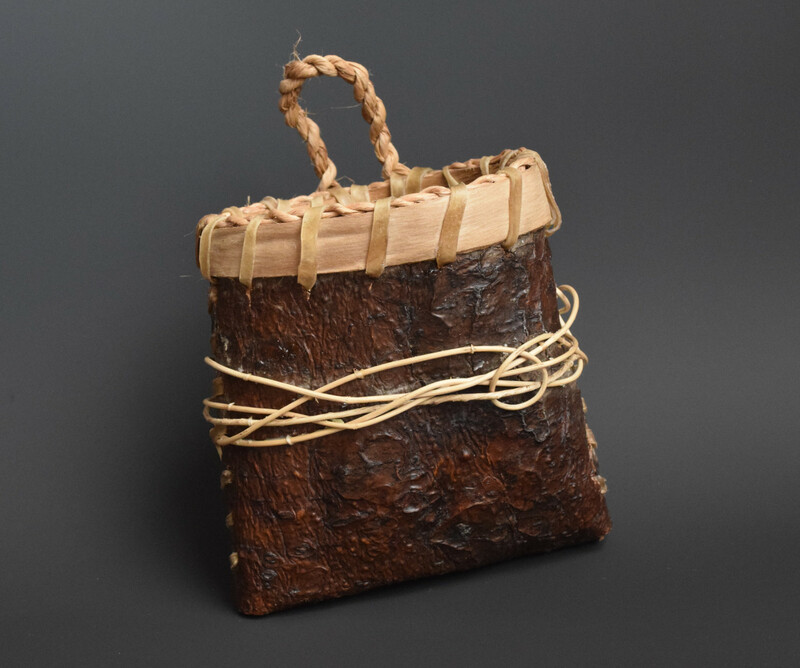 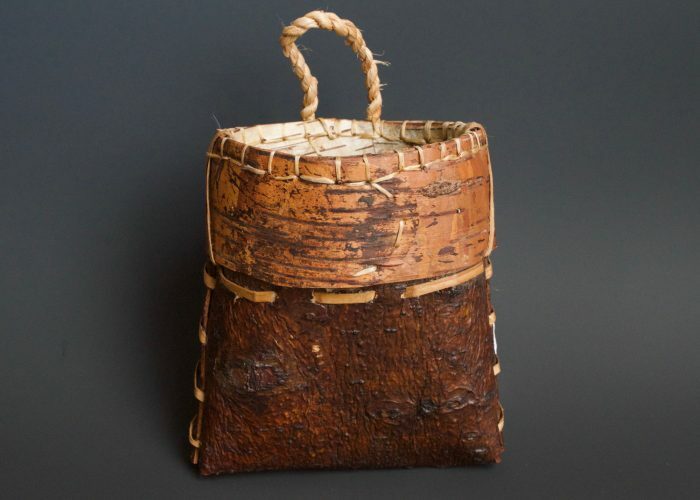 Made with white pine, birch bark, basswood, red osier, and other native plants of New York (and the greater northeast region). 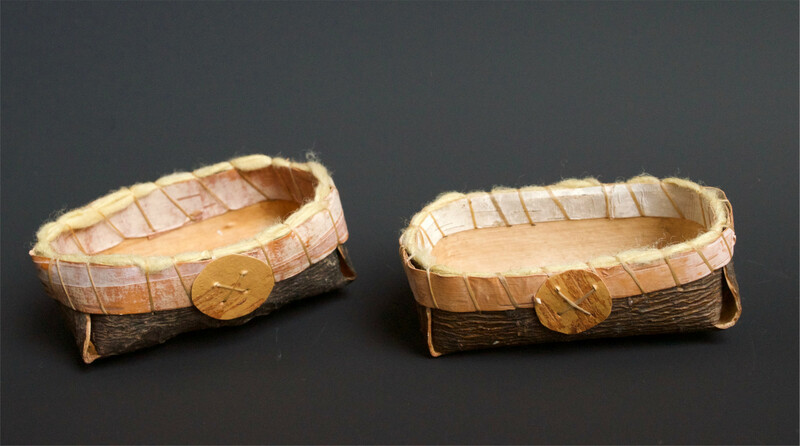 Accents in local vegetable tanned leather. 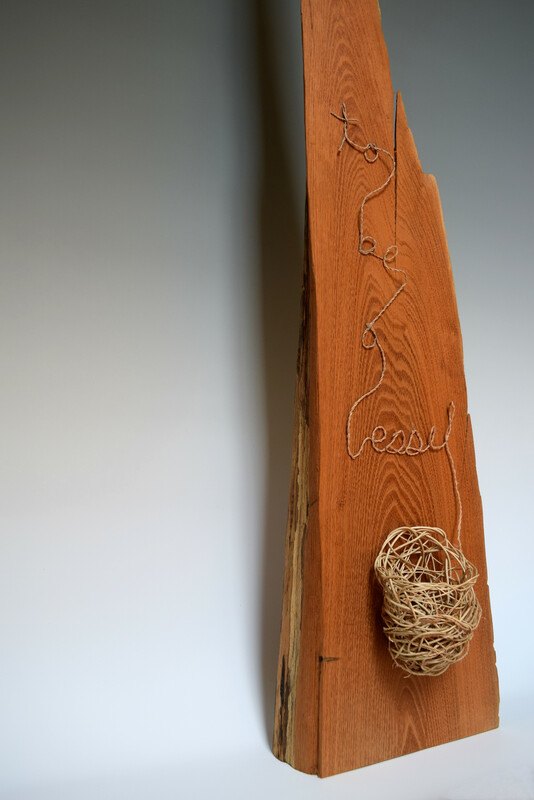 In this ongoing body of work my inspiration feels endless. 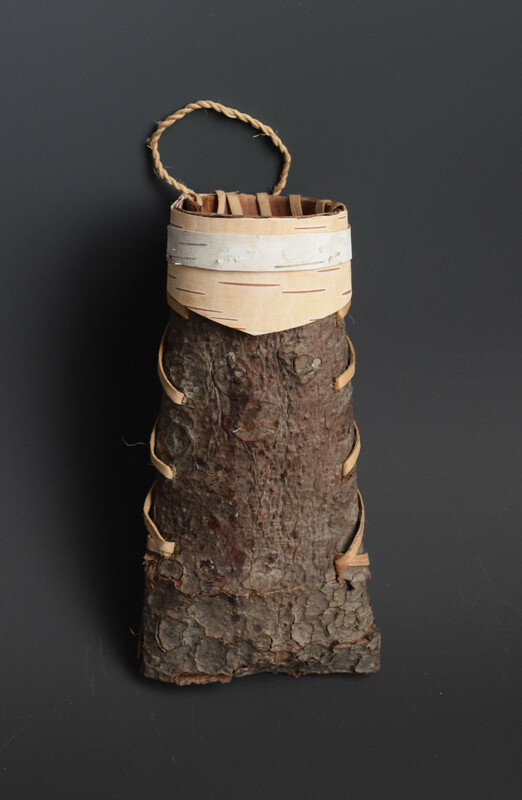 Starting with a body of folded white pine bark each container seems to naturally grow into a finished piece. 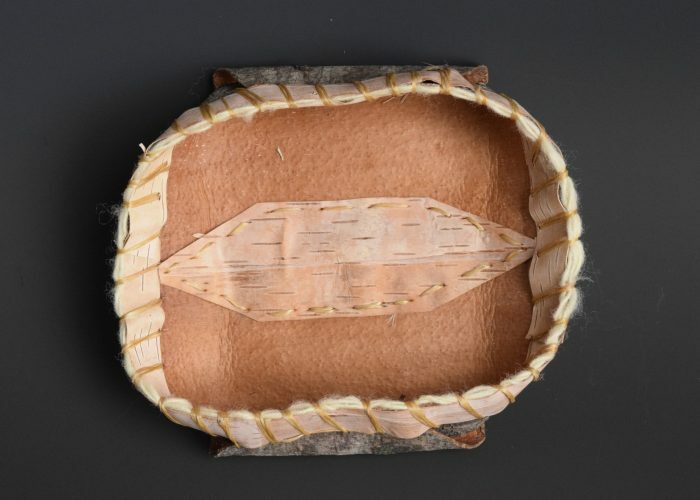 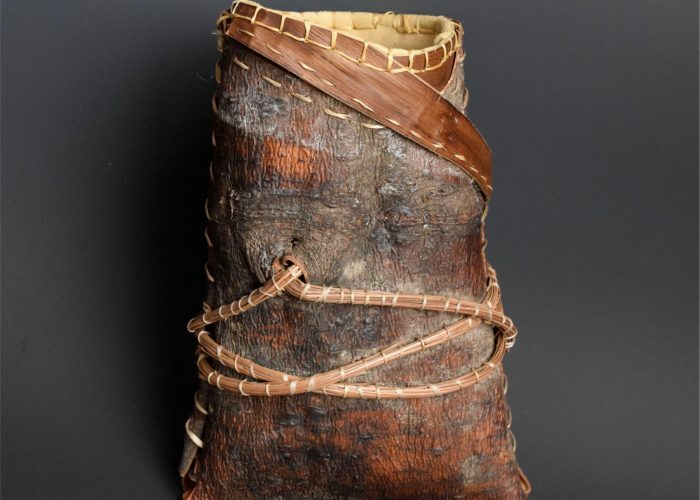 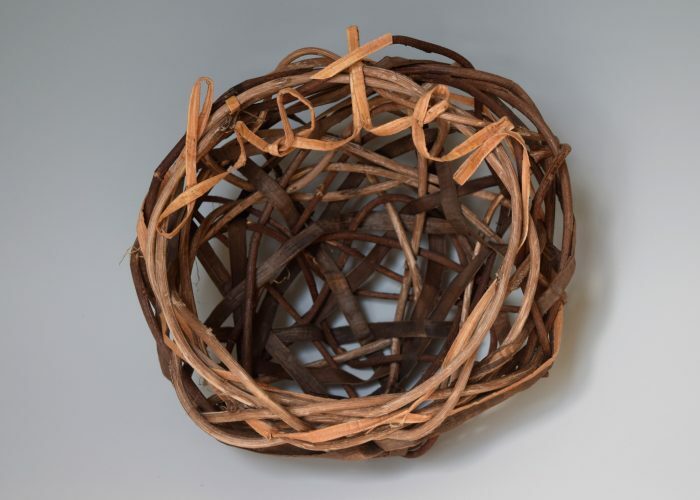 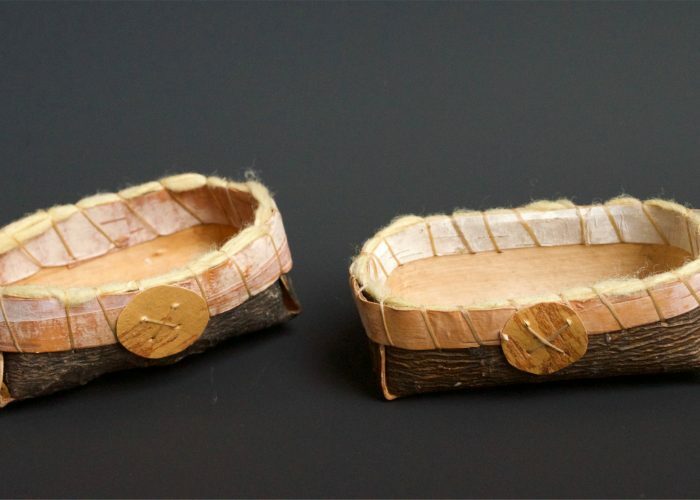 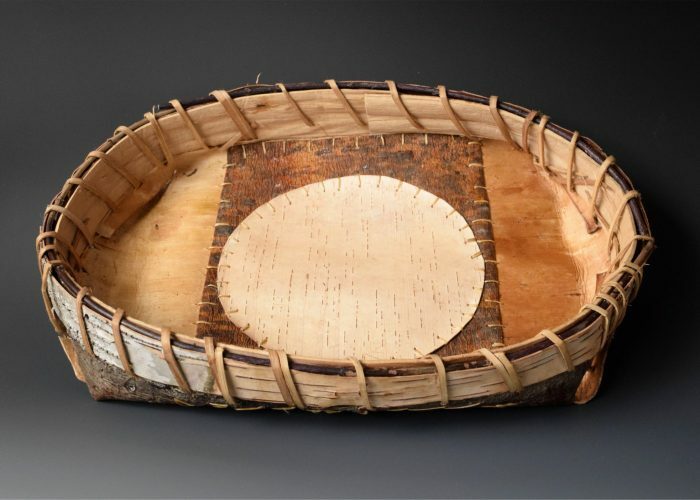 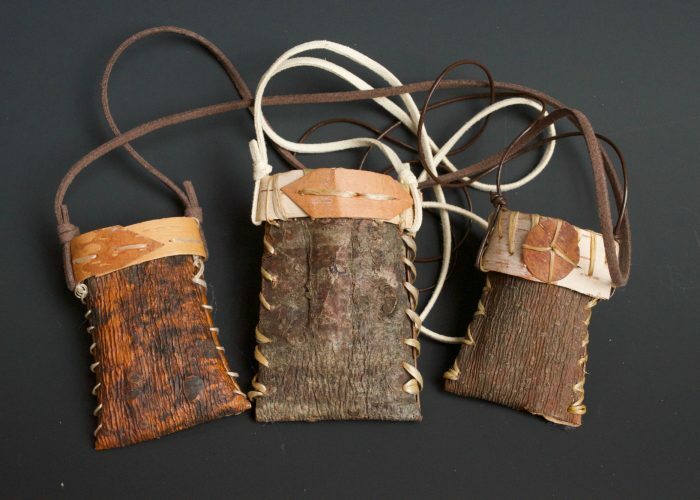 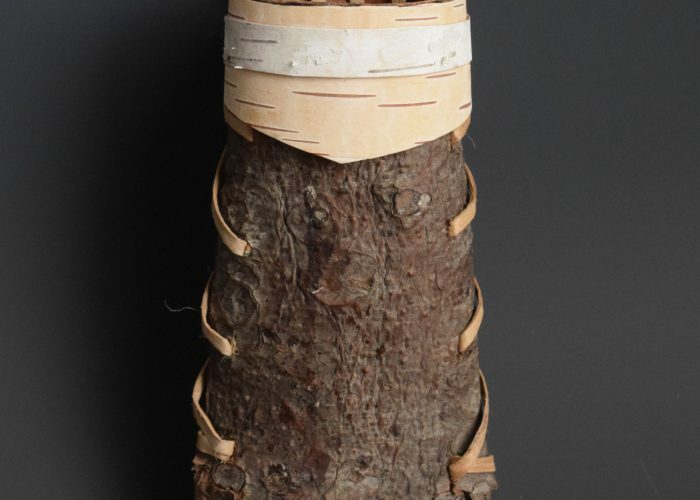 Some call out for birch bark rims, or accents of buckskin, pine needles, or basswood cordage. 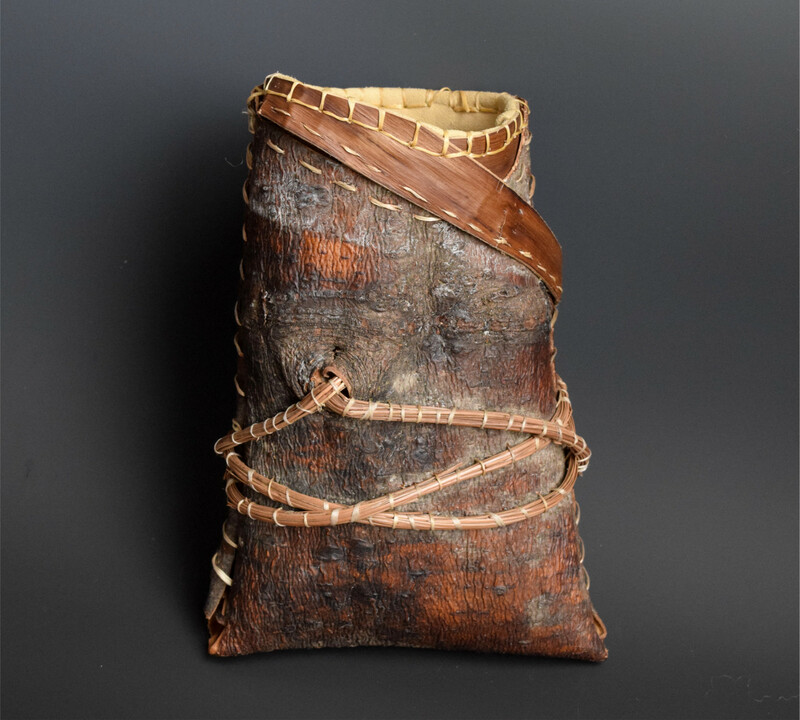 Each is a unique work of art crafted in collaboration with the native plant materials from my home in the Hudson Valley in New York State. 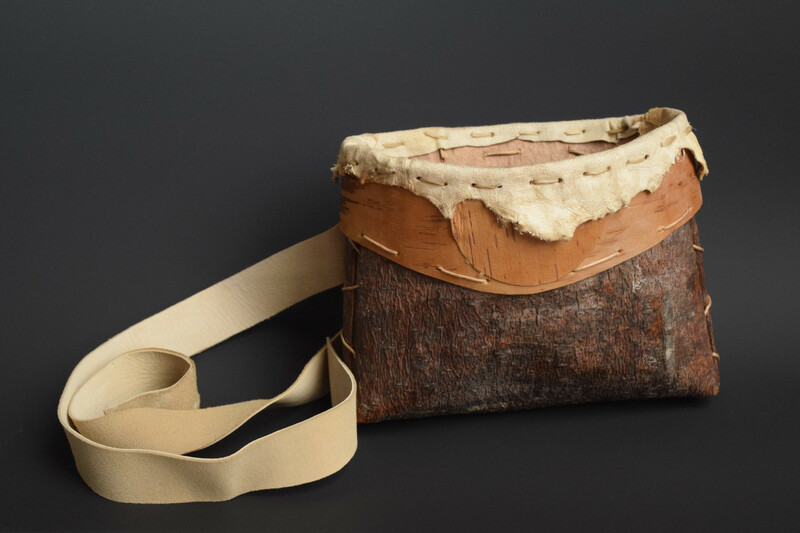 The pieces in this series take different forms, from purses, to tool containers, to medicine necklaces. 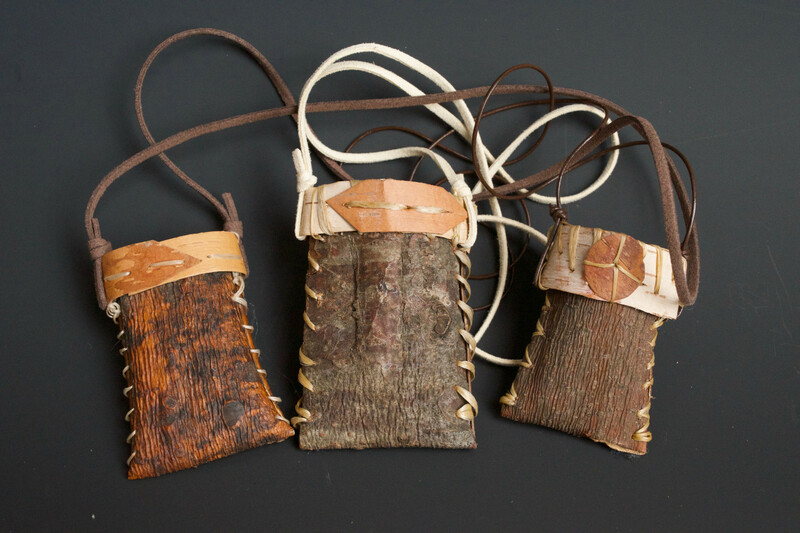 All are meant to be used and treasured in your everyday life. 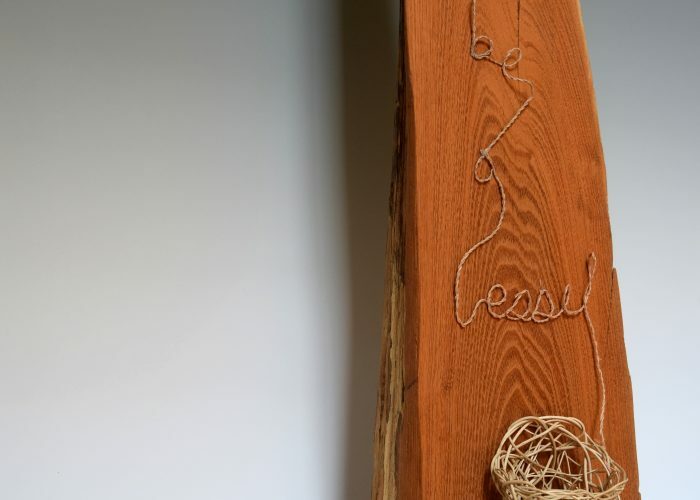 Whether that means taking it into the woods to harvest berries, placing it on a mantel in your home to hold summer flowers or just to be appreciated as a work of art, is up to you. 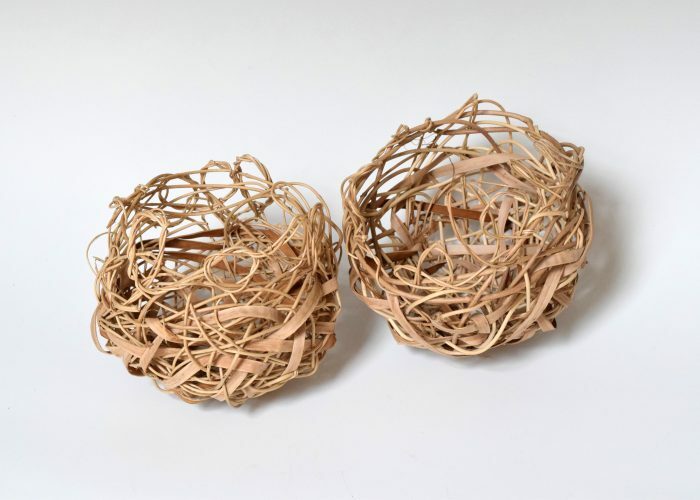 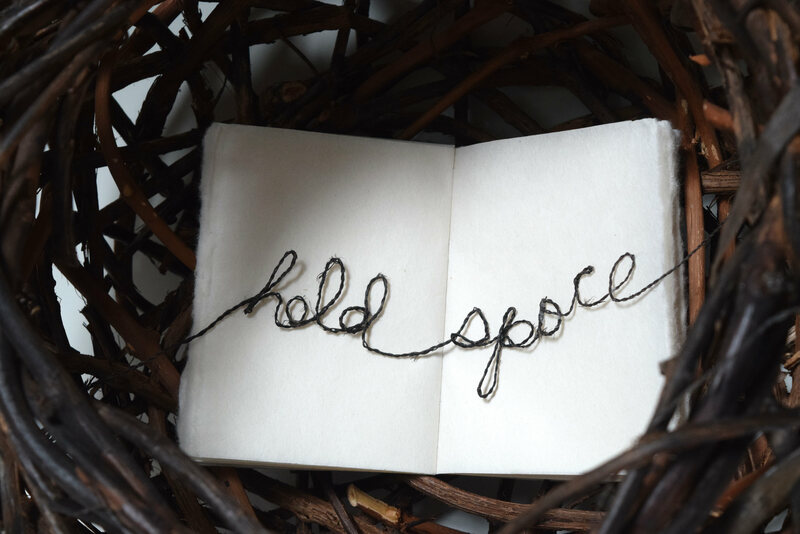 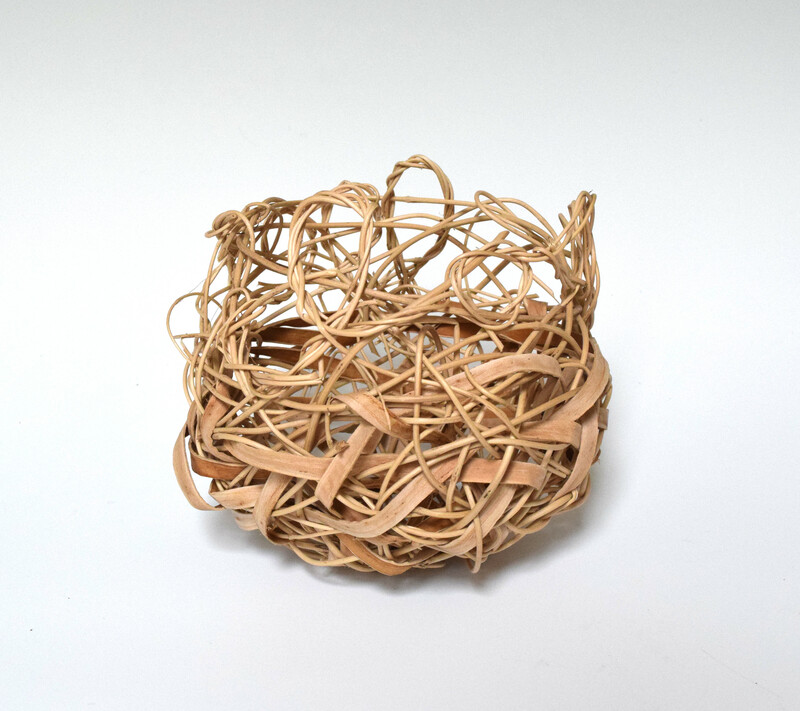 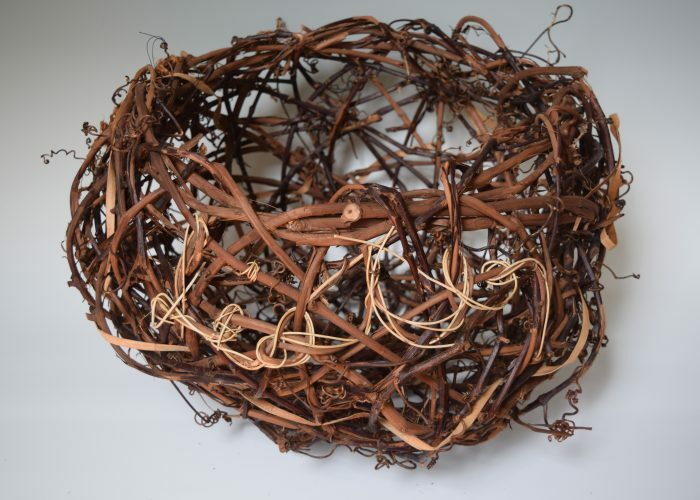 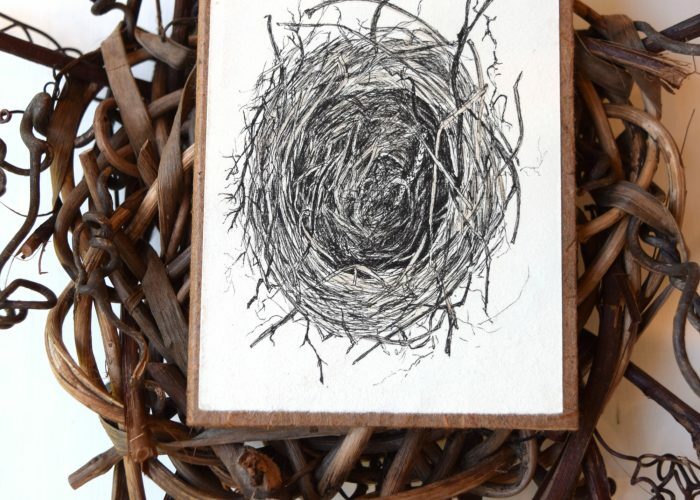 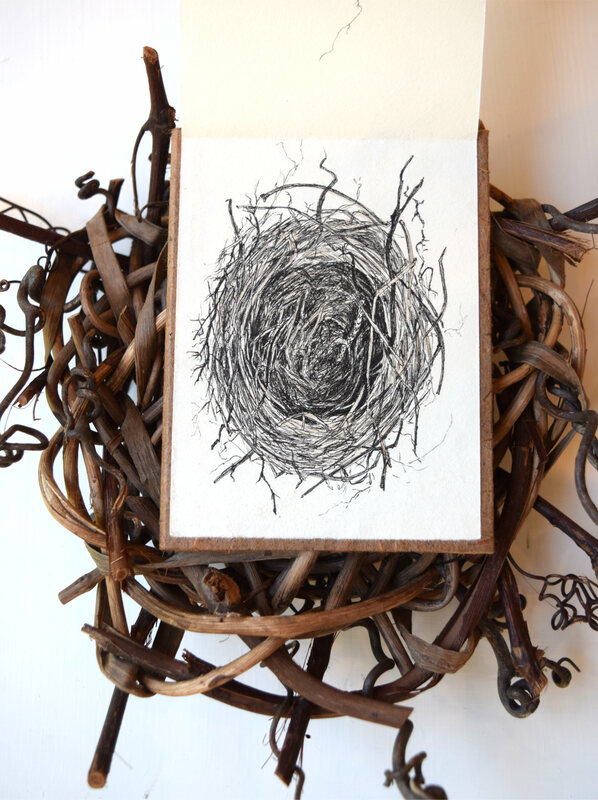 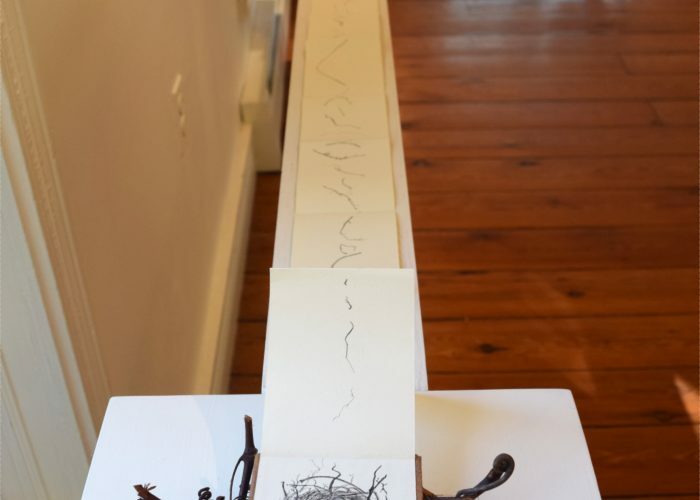 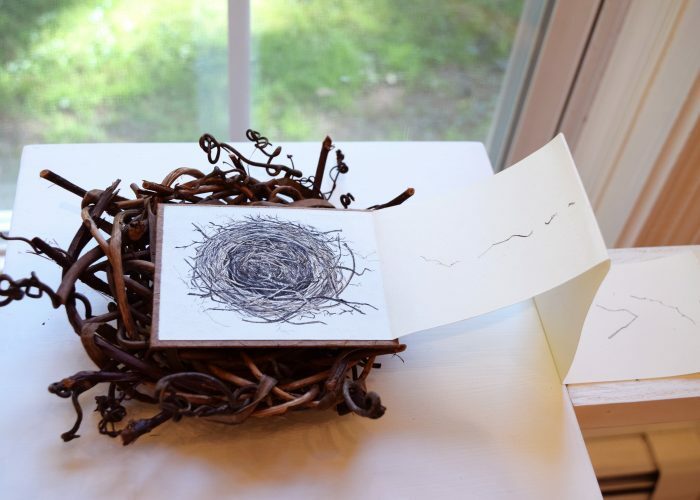 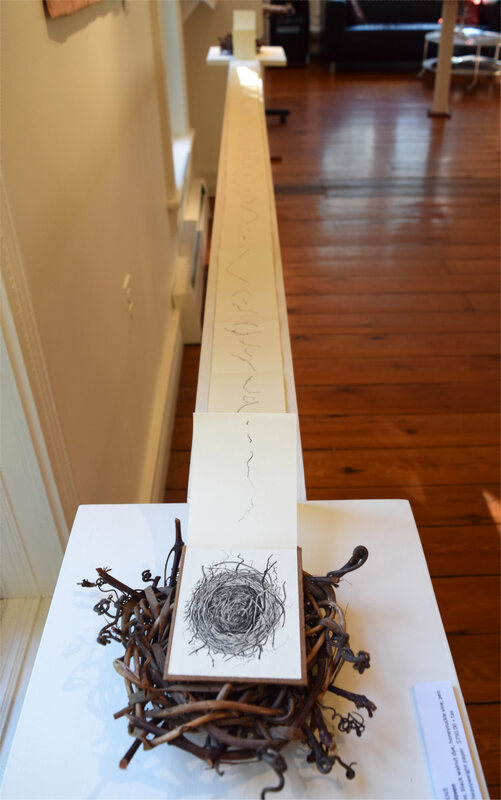 In this ongoing series I carefully deconstruct entire bird’s nests and draw every piece of the hundreds of twigs and rootlets in order to pay tribute to both my own, and the bird’s, diligence, obsession, and attention to detail. The nest pieces laid out next to each other bear a striking resemblance to the characters of an unreadable, yet incredibly compelling language. In considering this comparison to language, themes such as discovery, searching for answers, and attempting to understand worlds other than our own are evident. 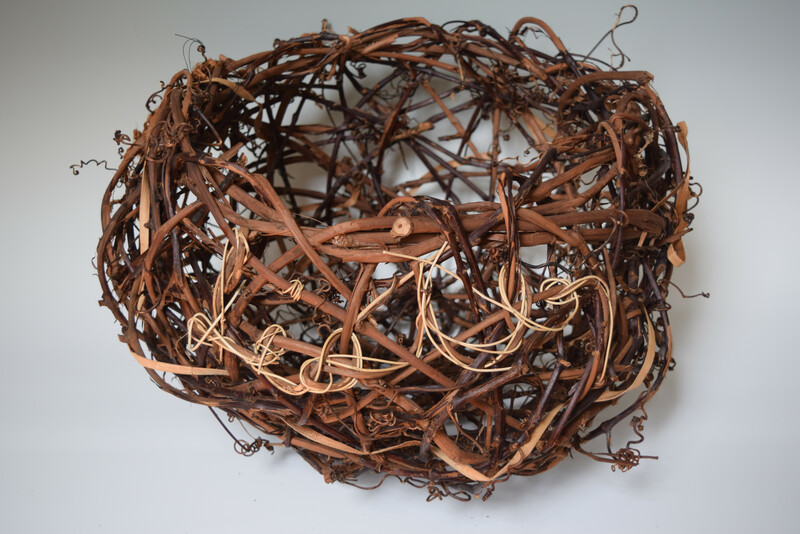 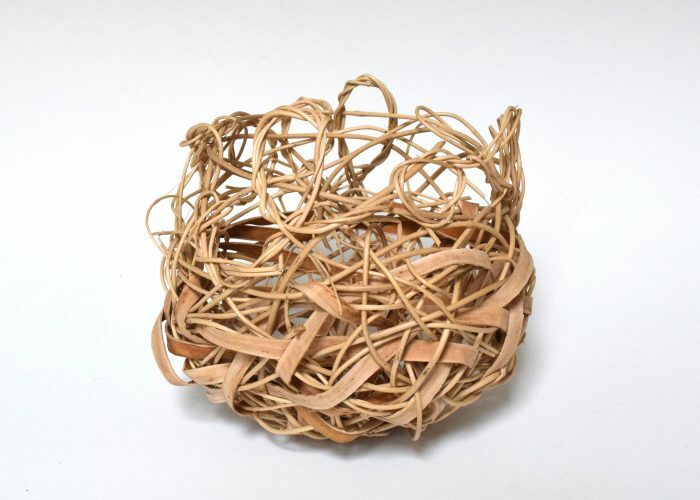 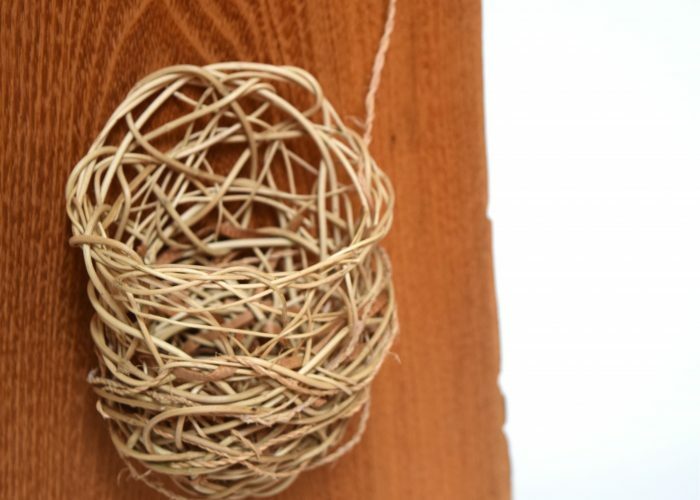 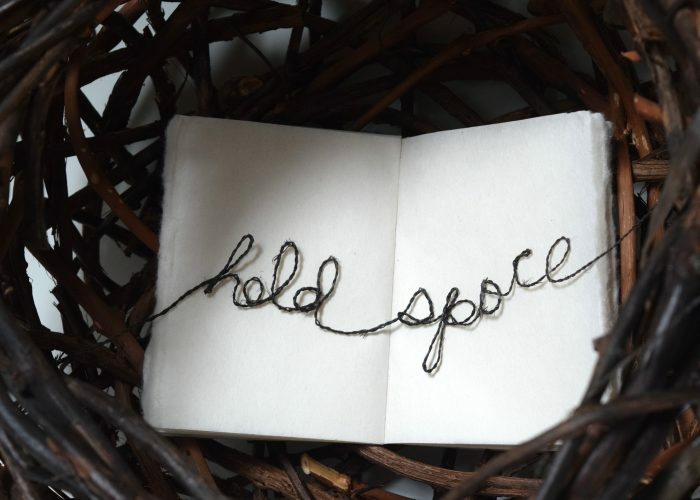 In a time when connection to the natural world is paramount, the process of seeing and appreciating the hundreds of fragments in one nest also serves to connect us to the experience and language of the bird’s life. 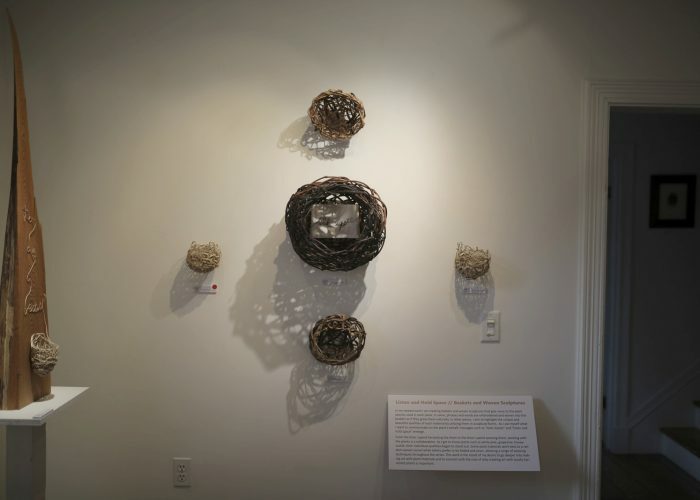 What does it look like to spend a day weaving? 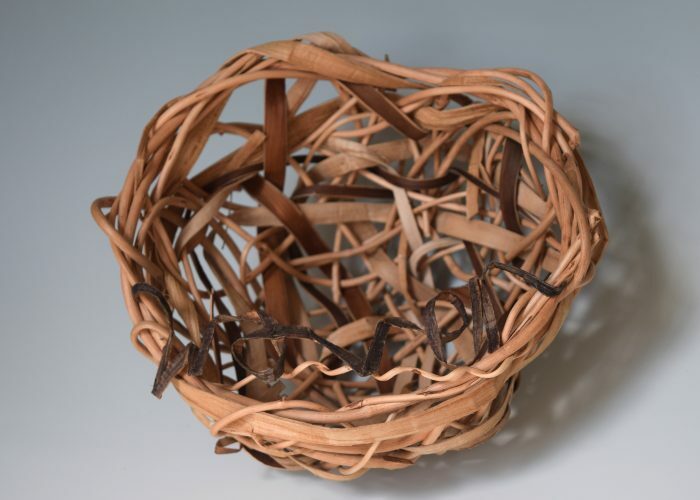 To see some examples of baskets and student experiences from single day workshops check out the blog posts below or visit my current/past workshops page. 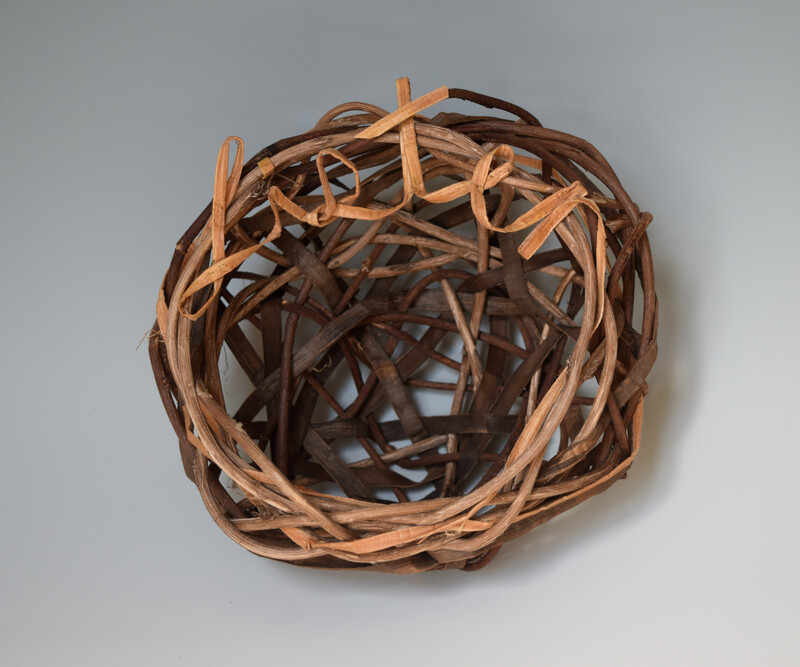 There is such an amazing array of students that take my classes and I’m always impressed with the creativity and individuality that comes out when a person sits down and allows themselves the time to make something beautiful with their hands. 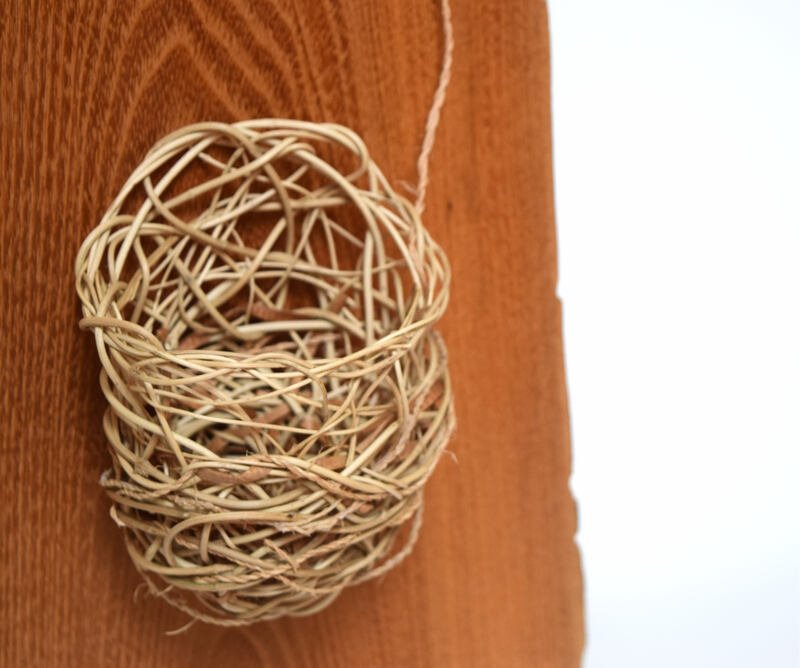 I can’t wait to see what happens when participants in the mentorship take those skills to the next level in 8 months of weaving!